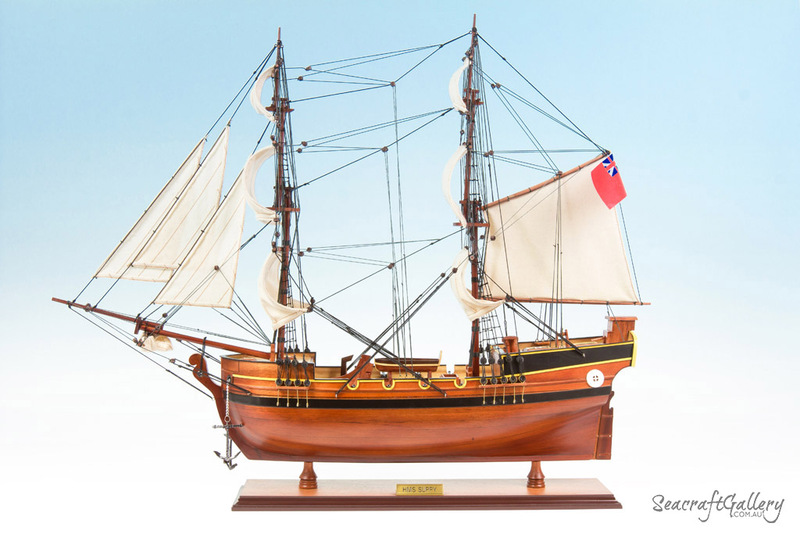 As one of the First Fleet ships, the HMS Supply played a major role in the foundation of Australia. It’s a vital part of British naval history, and was noted for its incredible speed and pace. Indeed, it was rated as the fastest of all the First Fleets ship. 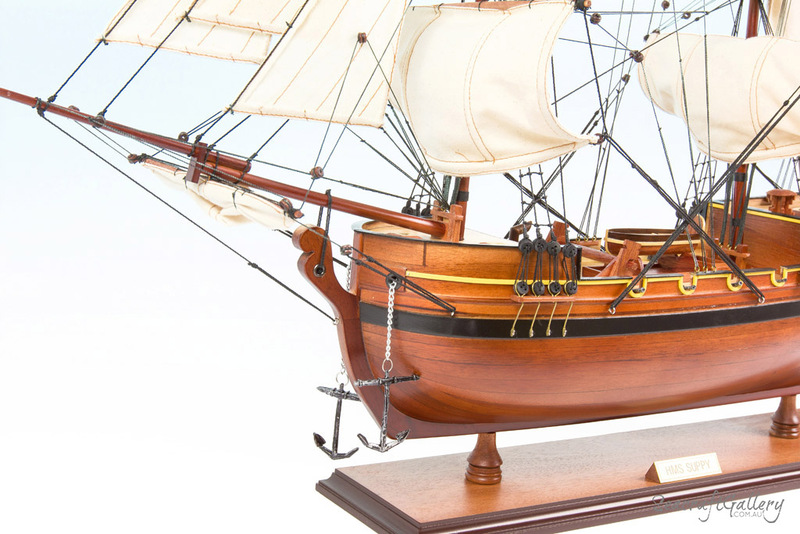 It was built by Henry Bird in 1759, and launched at the tail end of the same year. 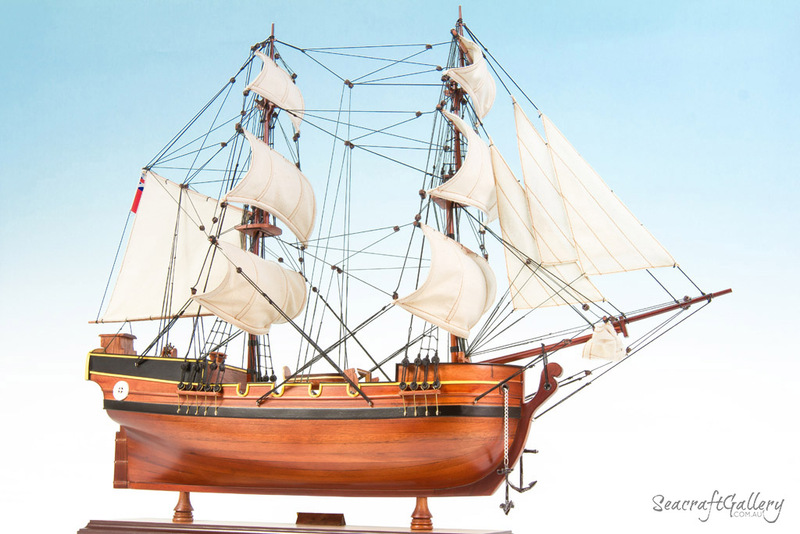 The ship served a long commercial live, first being sold by the Royal Navy in 1792 and then operating as a commercial vehicle until 1806. 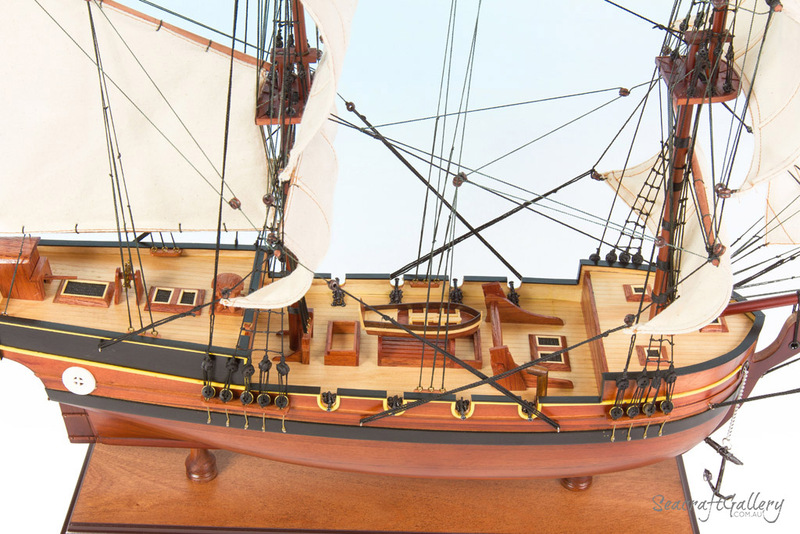 Appropriate detail is paid to every section, capturing every little part of the detail that makes this such an easy ship to love. 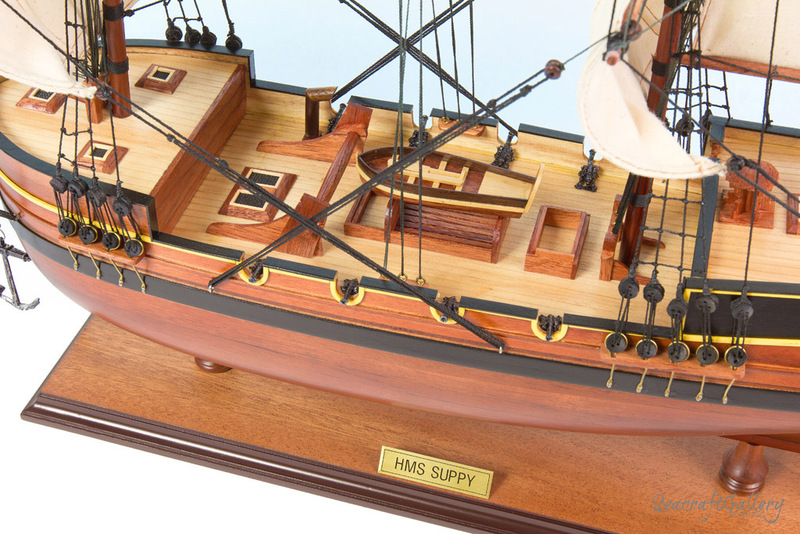 The attention to detail within is very impressive, this 75cm HMS Supply ship model is designed to arrive fully ready to be enjoyed. 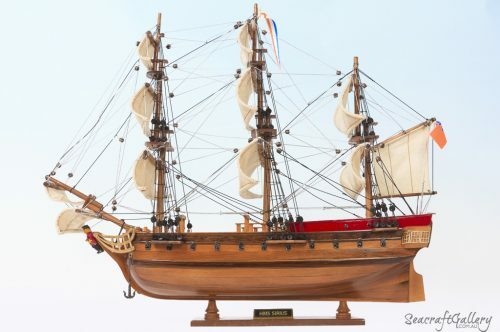 Highly impressive, ready to display wooden model ship – this is not a kit to assemble. 75 x 18 x 68cm in size, with a 1:92 scale. Handcrafted using wood and metal materials. No plastic used: truly true to the 1700s. Individual timber made for each part of the boat for that much-needed attention to detail. Gun ports are sliced into the hull. Cannons muskets and various other metal sections all made from sculpted metal. Handmade sails with fine linen and rigging lines of various formats. 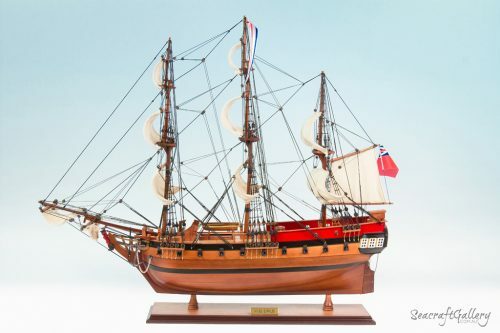 The model sitting atop a strong, sturdy wooden base with a name plate. 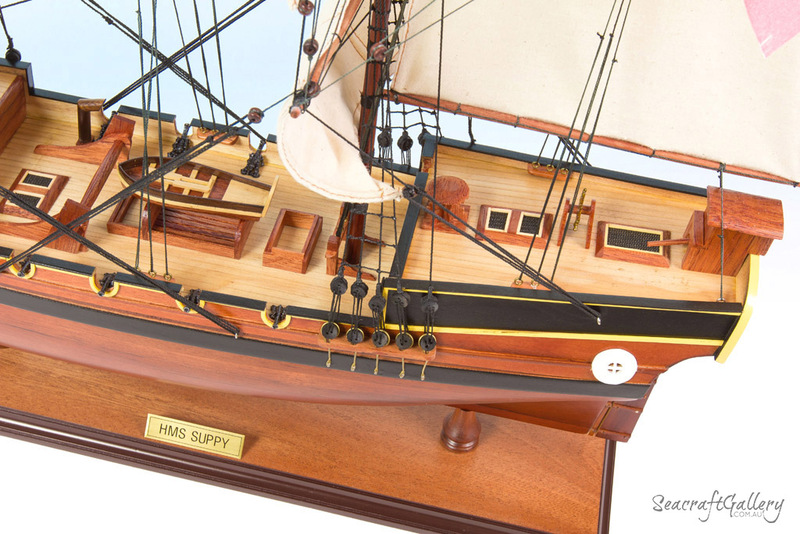 Fact sheet added in for making it easy to show others about the HMS Supply. 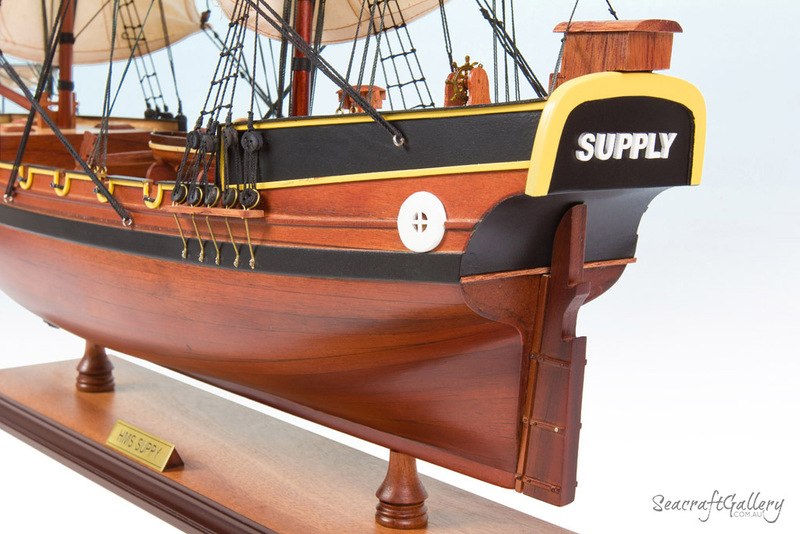 Thinking of putting your HMS Supply model ship in a display cabinet? Then be sure to check out our display cases. 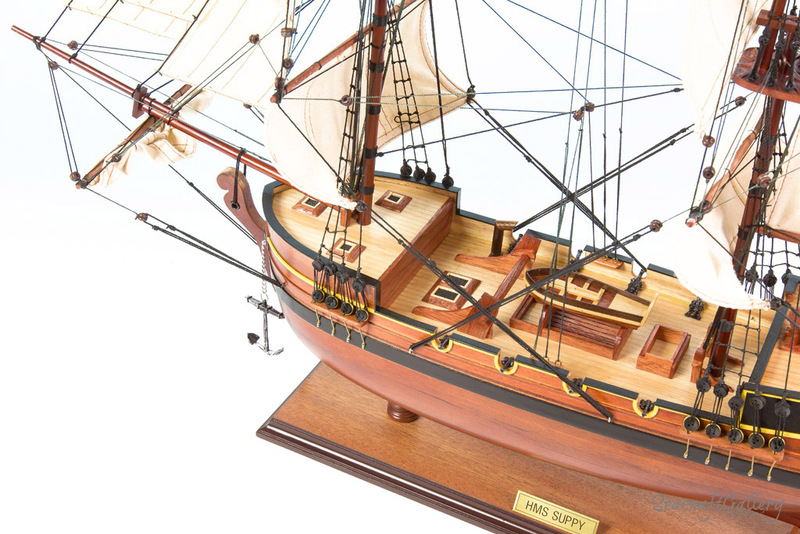 Alongside the HMS Sirius, the HMS Supply played a major role in the colonization of Australia. 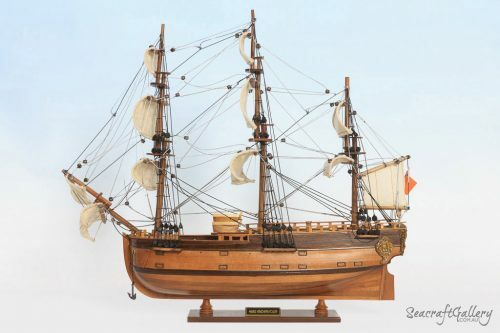 Under the command of Henry Ball and David Blackburn, the ship played a major role throughout the 1700s as a major ship for transport and in the development of Australia as a whole. 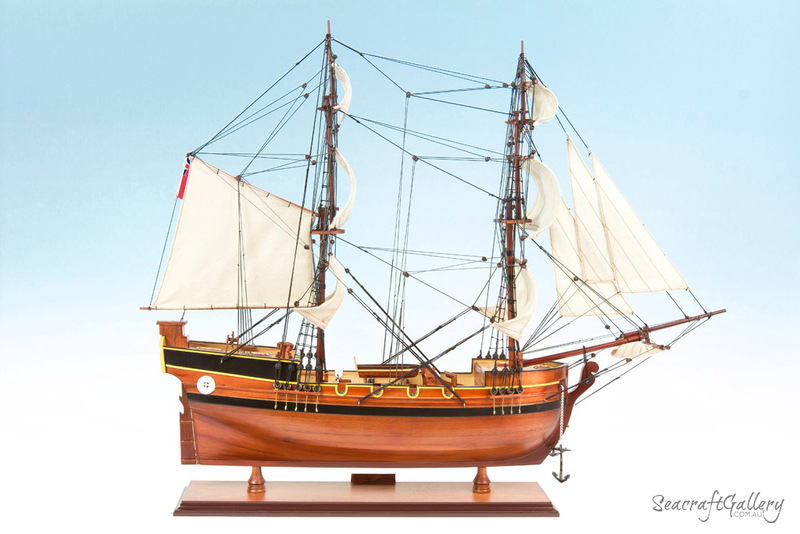 She is the fastest ship of the First Fleet, which carried over 1,000 people from Portsmouth, England, to Australia. The 13,000 mile trip was carried out, and eventually arrived on 18th January, 1788. The ship arrived alongside the others, and was captained by Henry Lidgbird Ball. The captain helped to get the ship, and others, into Botany Bay. 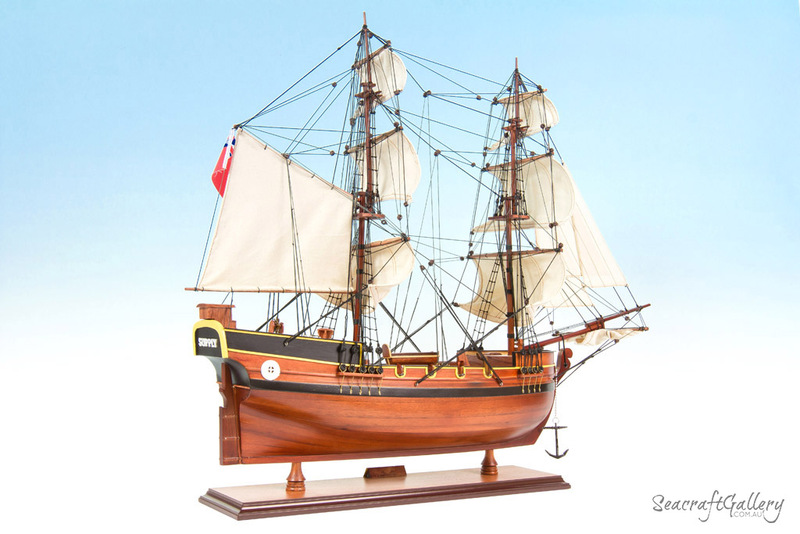 From there, the ship became a piece of history: it was the first ship to sail into Port Jackson. There, the anchor was dropped at Sydney Cove, and the setting up of Australia was soon to commence. 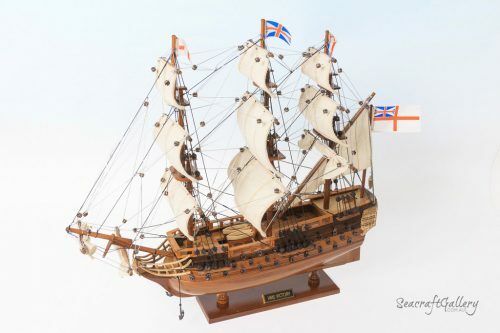 The HMS Supply was a major part of the overall colony, until it returned to England in late 1971. Upon doing so, the ship was anchored in Portsmouth. It left a major mark on the whole of the settlement of Australia, though, and is a major part of maritime history as a result. While it may not have endured the high-energy excitement of some of the other First Fleet ships, it’s importance in the safe and prosperous colonization of Australia cannot be ignored.